One of the main problems of this new art fair-based market model is that, with many galleries closing, fewer emerging artists are able to have their work displayed. And it is hard for emerging artists to infiltrate established art fairs, especially as the smaller galleries that represent these artists have less means by which to display art at a large-scale international art fair. 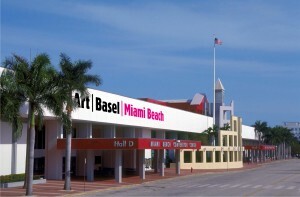 Not only is it hard for an exhibition to be accepted, as art fairs are highly selective when choosing their exhibitors, other financial factors must also be taken into account, such as participation fees, booth rental, insurance, transport, and packaging of the artworks, expenses which not all galleries can afford to pay. Given that the price tag attached to an artwork has become synonymous with quality and artistic talent, this proves that it is becoming increasingly hard for emerging artists to gain recognition, as these events often prioritize more established and expensive artists so that the overall quality of the fair can be increased and more profits can be gained. However, there are some companies that have noticed how the recent change in the model of the art market has made it hard for emerging artists to have their work displayed. For example, The Current Art Group uSA, a Division of Contemporary Art Projects uSA based in Miami, aims to act as a gallery for emerging talents who desire global recognition. In December 2012, the group presented the works of 21 artists at The River fair during Art Basel week. Recent years have seen the birth of a whole host of art fairs in countries with less established international art markets, such as: India Art Fair; oFF-Biennale, Hungary; Art Safari, Romania; Bogota Art Fair, Colombia; and ARTBo, Colombia. There are a number of problems associated with holding art fairs in countries with fewer links with the international art market, and it can be difficult for these fairs to attract international visitors compared to their more firmly established Western counterparts. For example, India Art Fair, whose seventh edition took place between 29 January and 1 February this year, currently attracts figures involved in the art world from all ends of the globe, but “the fair risks losing its international tag if it does not improve its appeal for leading galleries from the USA and Europe,” Newsweek reported. One of the main reasons why international attendees criticized the fair seemed to be due to the lack of organization, perhaps a question of cultural differences. Although around 80,000 visitors attended the fair, their only options were to arrive either “by car on chaotically crowded and sometimes gridlocked highways, or squashed into unbelievably crowded metro trains and then [stumbling] along broken pavements from a nearby station,” according to the aforementioned newspaper. International galleries also reported having difficulties transporting artworks to India due to strict customs regulations. “The fair doesn’t take care of the logistics. Shipping the art works from abroad is an uphill task. India still does not have qualified art transporters. Moreover, we have to pay 15 per cent duties at the customs whether we sell here or not. And we cannot sell here either even if someone buys it here. We have to take it back and make the sale there. I find it strange and extremely inconvenient,” Andrew Shea of Aicon Gallery, NewYork, told The Hindu. Another issue was the lack of Wi-Fi at the event. “It was an international fair with exposure to the best galleries across the globe, but commercially we made a huge loss as the Internet did not connect at all. Now, we cannot go back to our country and do it; it will not fetch the same response. Imagine coming here with so many works and going back with huge losses only because of Wi-Fi”, said the owner of Miro Gallery, Paris, according to The Hindu. He was not the only one to complain about the lack of Wi-Fi affecting his experience of the fair. Problems such as these seem to have made the fair less appealing to international visitors, which has been reflected by the decrease in the number of foreign galleries exhibiting at the event. The figure dropped from 31 at last year’s edition to 21 this year, and an even bigger decrease can be seen from 2012, when half of the total of 90 exhibiting galleries, which included prestigious names such as White Cube and Hauser& Wirth, were from abroad.